Our Zest Student Desk is a work place for smaller spaces. We've included a generous full length utility drawer, and a surprise shelf below to keep things off the floor. Matching Spices Collection desk chair sold separately. 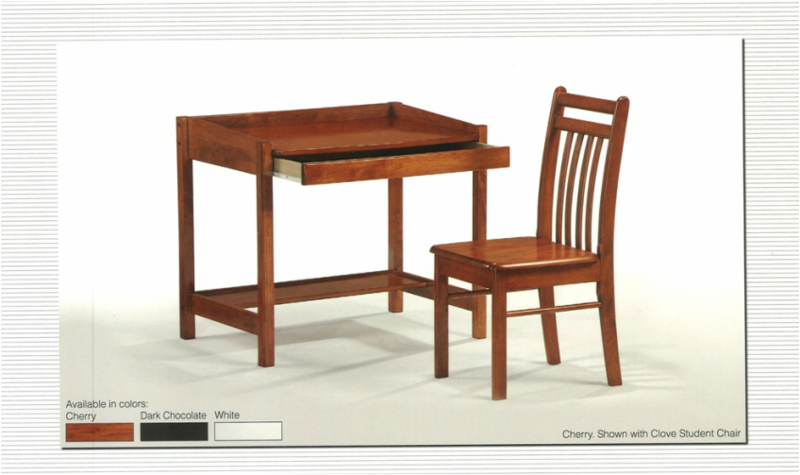 Shown above with the Clove Student Chair in Cherry Finish. 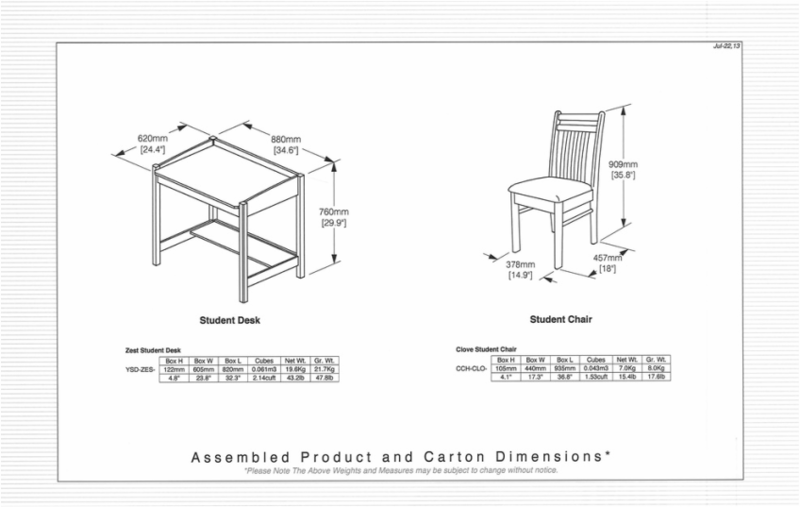 The Zest Student Desk comes with a limited 5 year warranty.